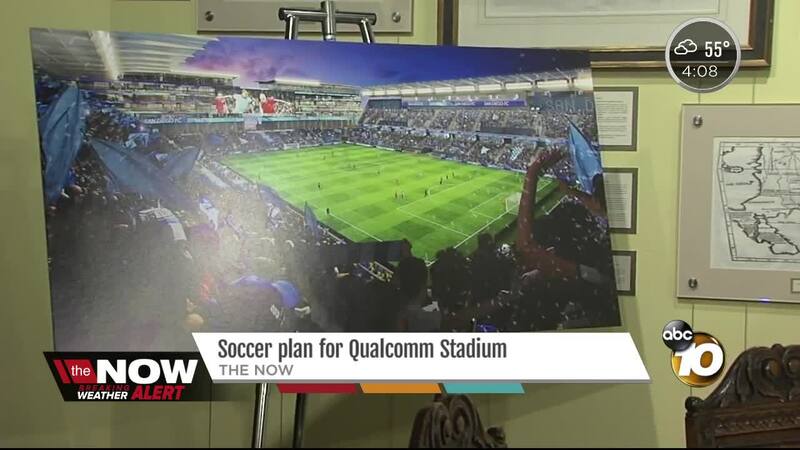 SAN DIEGO (KGTV) - Plans to revitalize the Qualcomm Stadium site into a state-of-the-art, joint-use stadium were presented Monday. Michael Stone and Nick Stone, of FS Investors, and Steve Altman, of AJL Investments, presented their concept to transform Mission Valley's aging stadium into a new facility to house a potential Major League Soccer team. The stadium could also serve as a home for San Diego State University sports. The site plan would also expand the San Diego River Park and set aside land for a future NFL stadium, should the city secure a new team in the future. "The group is also working to bring some of the best international soccer teams to play in what would be a world-class soccer facility," the group said in a press release. "As part of this effort, the owners will build a soccer academy for younger player development that would attract the best youth players in the region, and possibly the world." Plans for the project also tout an entertainment district, featuring restaurants, shopping, and live music. The group discussed a rendering of the stadium's design, their "exclusive" negotiating rights with MLS, and their progress in bringing the plan to fruition. They claim the plan wouldn't require any taxpayer dollars and that the group would acquire the land from the city, something the majority of San Diego voters sided against in a November 2016 vote on a new stadium downtown for the then-San Diego Chargers. 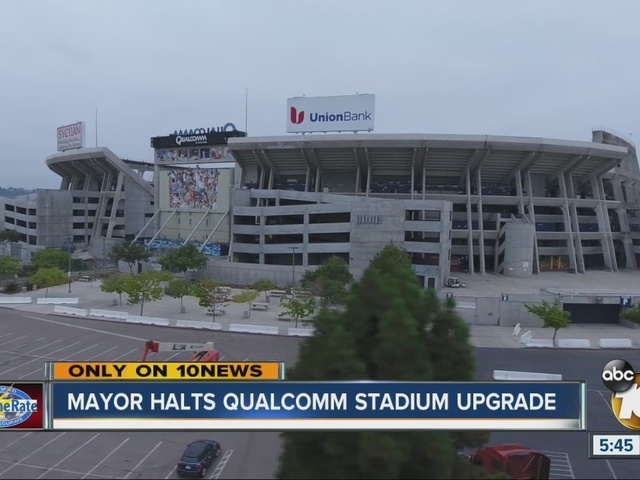 Plans to improve Qualcomm Stadium were shelved last week , after Mayor Kevin Faulconer told 10News reporter Jon Horn in an exclusive interview that the city would hold off on the upgrades. The technological improvements would have cost an estimated $576,000.